Born in London, now a twenty years strong Bristolian, Ngaio has been skating across musical scene since she could walk. As well as being musical director of Bristol’s Bass Choir. She has been organising and promoting events since setting up of her own night Booty Bass which was started in 2018 as a way to provide a platform for more female DJ’s. A strong advocate for inclusion and increasing diversity within the industry, Ngaio’s lyrics recount her experiences growing up as a mixed race female in British society in a way that touches the soul. 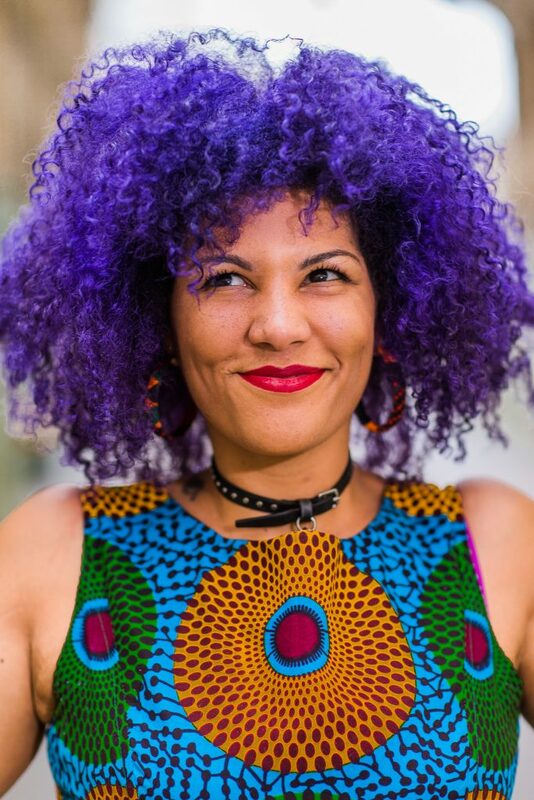 She has spoken publicly about the part she played in organising the Black Lives Matter march in Bristol in 2016 and will be doing a talk on Reclaiming Space as a POC in predominantly white sectors at Boomtown Fair this year. After working in events, as a journalist for and as a professional performer, Ngaio has been exploring ways to reclaim space as a POC colour through music, art and discussion, in a positive way and is focussed on getting the arts into deprived communities to make them accessible for everyone. A live vocalist and DJ, Ngaio’s natural neo-jazz style and deft knowledge of electronic selections has seen her make a serious impression on music scenes in the UK and internationally.